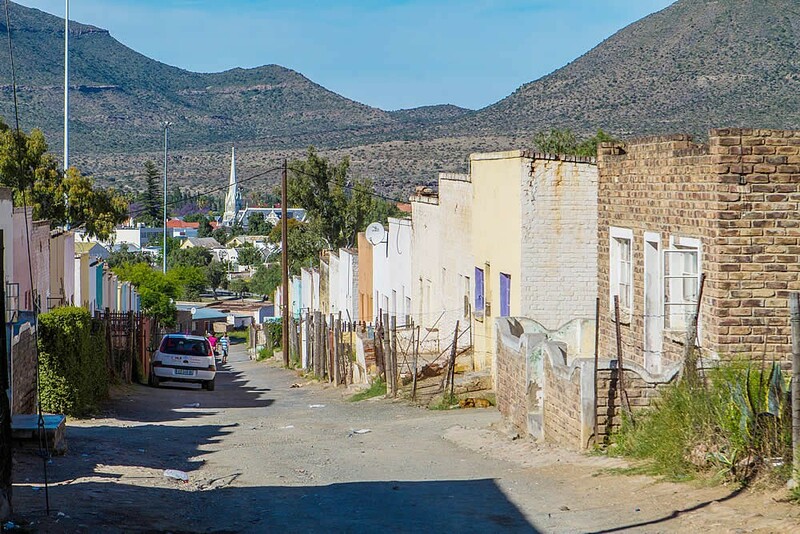 The name uMasizakhe means “We built it ourselves” and is a suburb which officially started its development around 1857 when an influx of starving Xhosas came to the district after the devastating “cattle killing” that took place following the visions of the young Nongqause, the Xhosa prophetess in 1856. Some of the original houses were built from materials to hand namely dolorite rocks mixed with mud and mud bricks. The mud houses were thatched and round in the Khoi style with reed mats for roofing. Soon they developed their own style of building, a fine example of which is “The Royal Block”. The Royal Block was constructed during the early 20th century as the buildings are built of brick and cement and have flat corrugated-iron roofs. Although reminiscent of Stretch’s Court these homes are semi-detached and of a uniform style and size indicating that these homes were built as one construction phase. The individual homes are also much smaller in size which gives one the impression that they were built as lodgings for men. In my opinion this points to only one possibility and that is that labourers were housed there during the construction of the Van Ryneveld’s Pass Irrigation Dam in the 1920’s. Find below an extract from “Nqweba Dam – Supplying water to the thirsty Karoo” by Lani van Vuuren which supports this view. The name "Royal" Block probably originates from the fact that the men living in this street lived like royalty compared to the rest of the labour force who lived in cement bag huts.